Large orchestra of 60 soloists (cello, flute). Marvelous Tchaikovsky, Mozart and Dvořák. A. Dvořák - Symphony No. 9 "From the New World"
North Czech Philharmony Teplice is an internationally recognized orchestra, dating back to 1838. With the orchestra have collaborated such artists as conductors Libor Pešek, Vladimír Válek, Jaroslav Soukup, Tomáš Koutník, Charles Olivieri-Munroe, violinist Maxime Vengerov, pianist Caroline Murat and many others. 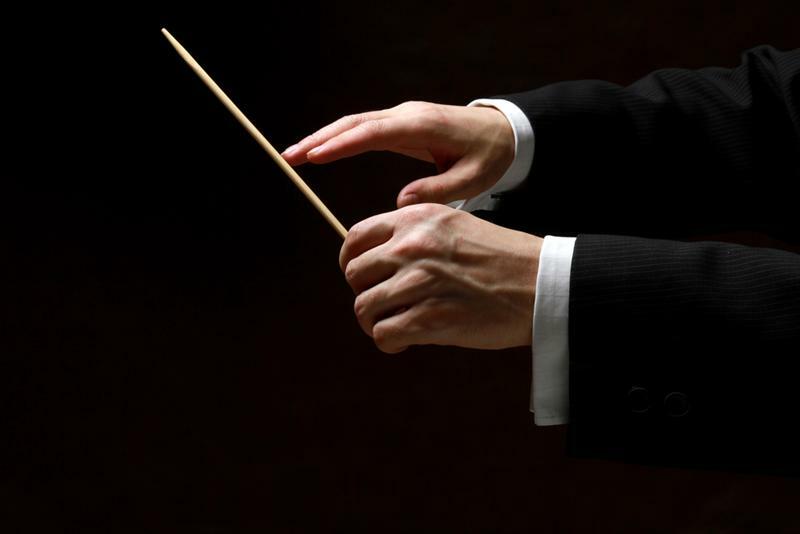 The North Czech Philharmonic performs in European cultural centers like in Munich, Berlin, Basle, Paris, Valencia, Lisbon, Belgrade, Budapest, Zagreb, Ljubljana, Bordeaux, Toulouse, Grenoble, Madrid, La Valetta and others. In the year 2006 the orchestra began to cooperate with the prestigious agency Columbia Artists Managemant New York Inc. The latest project was a tour to Germany with the Lord of the Rings Symphony by Howard Shore with motives of the same film. The orchestra performs regularly on the major stages in Prague and other Czech cities, too. Nevertheless, the emphasis of the artistic activities remains in performing concerts in Teplice with the main aim to contribute to the cultural life in this city. Built as a tribute to Bedřich Smetana - world known Czech composer. Representative Smetana Hall was the site of the independent Czechoslovak Republic declaration in 1918. Nowadays it serves predominantly as a concert hall. Beautiful Art Nouveau decorations – paintings with Slavic motifs, decorative stained glass ceiling, gilded lamps, beautiful organ – all this creates an unusually harmonic whole, which is a worthy area for implementation of the greatest treasures of Czech and world classical music. The Municipal House in Prague was built at the place of the former Royal Court in 1912 to celebrate the Czech nation. It is a representative building which for its splendour and beautiful decorations is one of the jewels of Prague architecture. Although the building is usually described as an "Art Nouveau" edifice it is more of a blend of neo-Baroque, neo-Renaissance, western and oriental influences and Czech Art Nouveau style. Today, the Municipal House in Prague offers a wide range of multifunctional premises in which all sorts of events are held (exhibitions, conferences, fashion shows, charity events, companies' shows, etc.). There is also a great and highly recommendable French restaurant, Municipal House Café and American bar. Municipal House is, above all, a great venue for Prague classical music concerts and one of the prime venues of the world-famous Prague Spring Festival. 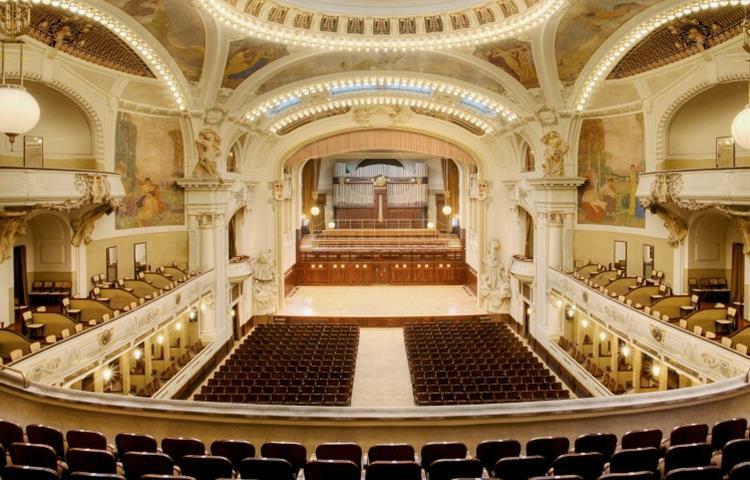 Do not miss your chance to visit great classical music concert in one of the nicest concert venues in Prague! Please have your credit card and personal information ready for payment to avoid expiration of the order time. You have 20 minutes to purchase your tickets. When this time runs out, your reservation is cancelled. If you have selected a discounted ticket price (student / senior), you may be asked at the venue entrance to present your ID or any other document proving that you are entitled to obtain the discount.